Since the launch of Initial Coin Offerings (ICOs) four years ago, the blockchain phenomenon has gained exponential attention, consequently exploding in value throughout 2017. Evidently, ICOs have enabled several companies to rapidly fund their ventures. 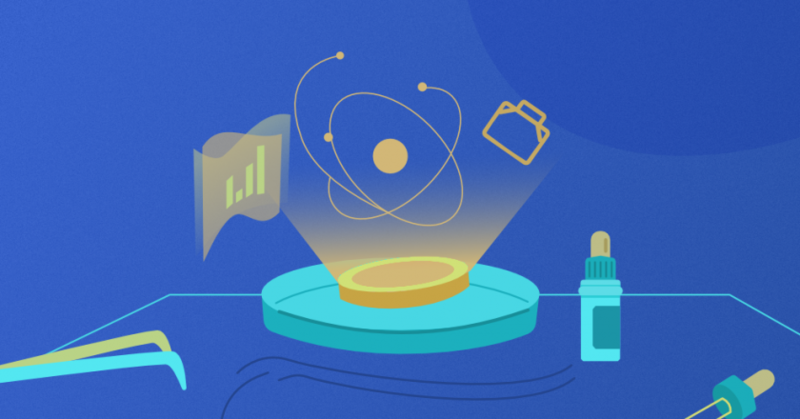 In our last article, we reviewed and described how ICOs will likely change the world of crowdfunding and why it will likely disrupt the traditional way of crowdfunding, as well as disrupt venture capital fundraising, and various regulatory actions. On July 25th, the U.S. Securities and Exchange Commission (SEC) was the first financial regulator to issue a statement about Initial Coin Offering regulations. Since then, several other countries have followed suit. 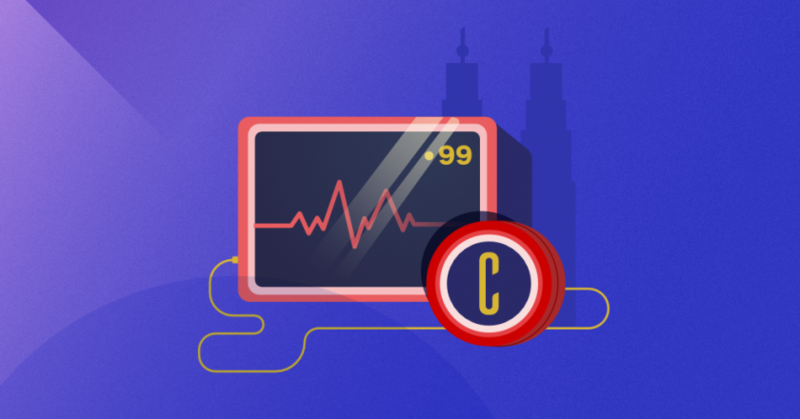 In this article (Part 2), we will focus on ICO regulation activities and statements within the last 6 months, focusing on Southeast Asia, including Malaysia, Indonesia, Cambodia, and others. Malaysia’s statutory securities regulator issued in September a public statement warning investors of the risks involved in ICO fundraising. In a public release, the Securities Commission of Malaysia (SC) moved to caution investors of risks in digital token-based fundraising investment schemes. The regulator mentioned Bitcoin and Ethereum as two virtual currencies used by investors during digital token sales by ‘ICO scheme operators’. The Malaysian regulator added that some ICO schemes may not be regulated and could expose investors “to heightened risks of fraud, money laundering, and terrorism financing.” Further, it also contended that digital tokens traded on a secondary market after issuance could lead to “insufficient liquidity or volatile and opaque pricing. The statement also urged investors to “fully understand” the features and inner workings of a digital token sale. An accompanying whitepaper of an ICO-related project could also include disclaimers that would “absolve the operators from certain responsibilities and obligations,” the SC added. As such, the regulator stated: investors who wish to engage or invest in ICO schemes are reminded to seek legal or other professional advice if there are doubts on the legitimacy of these schemes. Indonesia – Southeast Asia’s largest economy – has taken a different tack, with Bank Indonesia planning to prohibit the use of all cryptocurrencies in payments. According to Indonesia’s central bank on October, the decision to ban the use of Bitcoin and other cryptocurrencies will come into effect in 2018 and is part of an effort to protect the sovereignty of its currency, the Indonesian rupiah. While Jakarta is interested in digital technology and the digital economy, particularly given the emergence of Indonesia as one of the largest e-commerce markets in the world, it is less enthusiastic about cryptocurrencies. This is due to their decentralized and volatile nature, as well as their impact on fundamental economic models. However, this could prove counter-productive to the goals of financial inclusion in an emerging market like Indonesia. On September 4th, 2017 seven Chinese financial regulators officially banned all ICOs within the “People’s Republic” of China, demanding that the proceeds from all past ICOs be refunded to investors or face being “severely punished according to the law”. This action by Chinese regulators resulted in large sell-offs for most cryptocurrencies. Prior to the Chinese ban, ICOs had raised nearly $400 million from about 100,000 Chinese investors. A week later, however, a Chinese financial official stated on Chinese national television that the ban on ICOs is only temporary until ICO regulatory policies are in place. South Korea followed in China’s footsteps and surprised the cryptocurrency community by also banning future initial coin offerings. On September 29th, the South Korean Financial Services Commission announced that all types of digital token sales would be banned, as these types of financing activities need to be carefully monitored and controlled. Unlike mainland China, Hong Kong has published ICO regulations that are more accommodating for startups. The Securities and Futures Commission (SFC) published a statement on September 5th, stating that digital tokens falling under the definition of securities are subject to Hong Kong securities law and, therefore, controlled under the SFC’s regulatory scope. “Shares, debentures and interests in a CIS are all regarded as securities,” according to the Securities and Futures Ordinance (SFO). Hence, if newly issued digital tokens carry strong resemblances to these securities, they will require regulatory approval. Singapore’s financial regulator, the Monetary Authority of Singapore (MAS), published a statement on November 14th which requires that the offer or issue of digital tokens in Singapore will be regulated by MAS if the digital tokens constitute products regulated under the Securities and Futures Act (Cap. 289) (SFA). MAS’ clarification comes in the wake of a recent increase in the number of ICOs in Singapore as a means of raising funds. In other words, similarly to Canada, Hong Kong, and the U.S., the sale of a new digital token will fall under MAS’ regulatory scope if the tokens are de facto securities of the issuing company. Japanese financial regulator, the Financial Services Agency (FSA), has issued a statement warning investors of the risks associated with Initial Coin Offerings (ICOs). In the statement released on Oct. 27th, the FSA stressed the “high” risk factors of digital tokens issued as a way of raising funds from investors. The regulator aired several concerns over the blockchain use case including price volatility, with the FSA saying that the price of a token may decline or become worthless suddenly. Furthermore, the agency emphasized the potential for fraud in the nascent industry. The document stated fears of project non-implementation, where the goods and services planned are not offered in reality. The statement also stressed that ICOs are regulated and may fall “within the scope of the Payment Services Act and/or the Financial Instruments and Exchange Act” depending on the structure of the scheme. As a result, ICO holders are bound to comply with certain rules and regulations under those acts. In July 2017 the U.S. Securities and Exchange Commission (SEC) pointed out that it could have the authority to apply federal securities laws to ICOs. The SEC did not state that all ICOs would necessarily be considered securities, but that determination would be made on a case-by-case basis. The SEC’s actions may encourage more mainstream investors to invest in ICOs, although ICOs typically prevent U.S. investor participation in order to remain out of the jurisdiction of the United States government. The SEC has ruled that celebrity ICO endorsements must disclose the amount of any compensation paid for the endorsement. 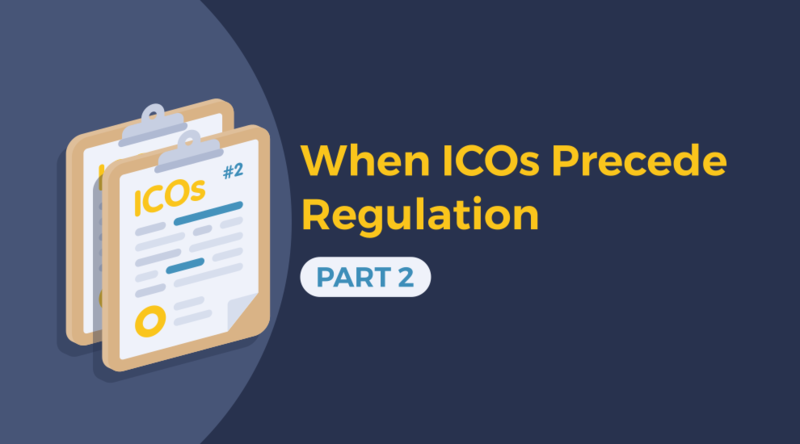 As increasing numbers of ICOs hit the market and enable easy funding of new companies, new and effective regulations are seen by many to bring greater compliance, transparency, and maturity within the industry. The potential impact of these and possible future regulations could be a weeding out of bad companies simply intending to make a quick buck, and bringing in stronger companies to the market. This could also mean entry of professional and institutional investors and venture capital funds with deeper pockets, and new service providers leaning towards compliance due diligence to provide greater maturity to this means of financing in the Southeast Asia region.